The inquiry regarding the Nagorno-Karabakh conflict will be raised at the meeting of the Permanent Committee of the OSCE (Organization for Security and Co-operation in Europe)Parliamentary Assembly which will be held in November in Malta, the Vice-speaker of the Azerbaijani Parliament Bahar Muradova exclusively told Trend. She stressed that this will be raised by the delegation of Azerbaijan. 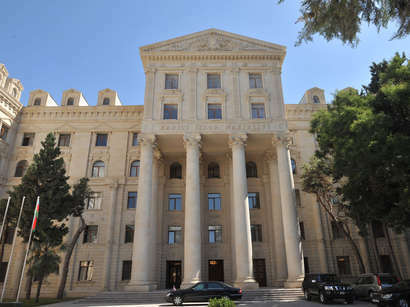 As the OSCE undertook the responsibility to assist in settling the conflict, Azerbaijan considers it necessary to raise this matter to this organization. Furthermore, Muradova expressed her regret that the problem cannot be resolved but instead new obstacles appear. Despite the United Nation's adopted resolutions, their implementation was once again trusted to the OSCE. Clearly the international organizations are awaiting the Autumn rainfall when the territories damaged by the fires will be restored naturally and they will report on the absence of any problems, Muradova added.